I think I may be in love with you, Melissa (my boyfriend is convinced I am). Thank you for your great blog and all these wonderful links! Well… that’s lovely! Thank you. I’m really glad my blog is helpful. Have an awesome day! I did my first W30 in Aug of 2012 and just did one this June.Your resources and recipes are a life saver. Good luck to you guys in your new place. So glad to hear you are now allergy free. Do the Phryne Fisher bob! She is fabulous! I remember you writing about your Whole30 AIP experience at the time and how you said it made you feel like you were on a capital D diet. It was one of the things that made me decide to write a totally AIP friendly cookbook than could make food fun again on the protocol. So thank you for the inspiration! That’s awesome! Congratulations on our upcoming book! Make sure you put me on your reviewers list! Thank you for the awesome resources! Enjoy Vermont. My husband is from New Hampshire and I love visiting his family. New England is so beautiful. Especially fall! This is AMAZING! Im on day 16 of mine and love all these ideas! Congratulations on 16 days of awesome! I’m not going to lie – I’m afraid of this whole30 deal. I understand that it can seem a little scary, but really, it’s just food. It’s a lot of changes at once, and it seems like a lot of rule. But it’s very simple, really: eat good quality protein, vegetables, some fruit, and awesome fats like avocados, coconut, coconut oil, ghee, olives, and nuts. That’s all there is to it. Sure, there are lots of recipes and meal plans and tips out there — and they’re all valuable — but you can get really far by remembering that it can be simple. Meat, veg, fat. Done. OMG. That is AWESOME that he doesn’t realize he’s doing a Whole30. Adorable. Nice job in the kitchen, lady! Thanks for buying our cookbooks! My husband and I will be starting our first Whole30 on Monday. Thank you for all the awesome information! I can’t thank you enough for this wealth of information! I am doing my first Whole30 (though I’ve started and stopped it 3 other times on day 3!) on August 1, and I’ve been feeling some anxiety about it. Then I came across your post and I can’t tell you how equipped and encouraged I know feel! Thank you a thousand times over! 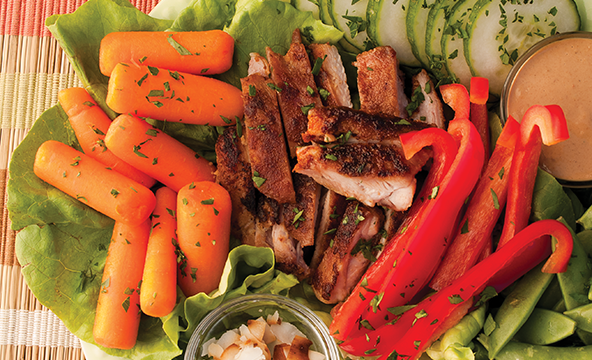 Congratulations on tackling the Whole30! I’m on Day 4 right now — but it took me three tries this time to get past Day 2. Sometimes it’s just like that, but once you’re locked and loaded, you’re IN. You can do it! Have a great month and hit me with an update once in a while! My husband is going to the Center For Cartoon Studies to get his Master’s in Applied Cartooning. The school is right on Main Street, in the old post office building and Colodny dept. store. Have a great month! I know it’s intimidating at first, but you can do it! Thank you for this great round-up of resources! I just finished my first Whole30 yesterday (with many thanks to your books and blog!) and it was a great experience. I learned a great deal and I am already excited to do another one! Congratulations on your Whole30. Good for you! Hope you’re feeling awesome! They’re really good at responding to all questions. I have seen the Whole30 phrase many times in different Paleo groups. What is it exactly? Is it just eating paleo for 30 days? I started eating paleo in January and have lost 40lbs so far. I will never go back to eating anything else ever again, I can’t see why anyone would want to after starting Paleo.. so I guess that is why I am confused to Whole30 if its just 30 days? 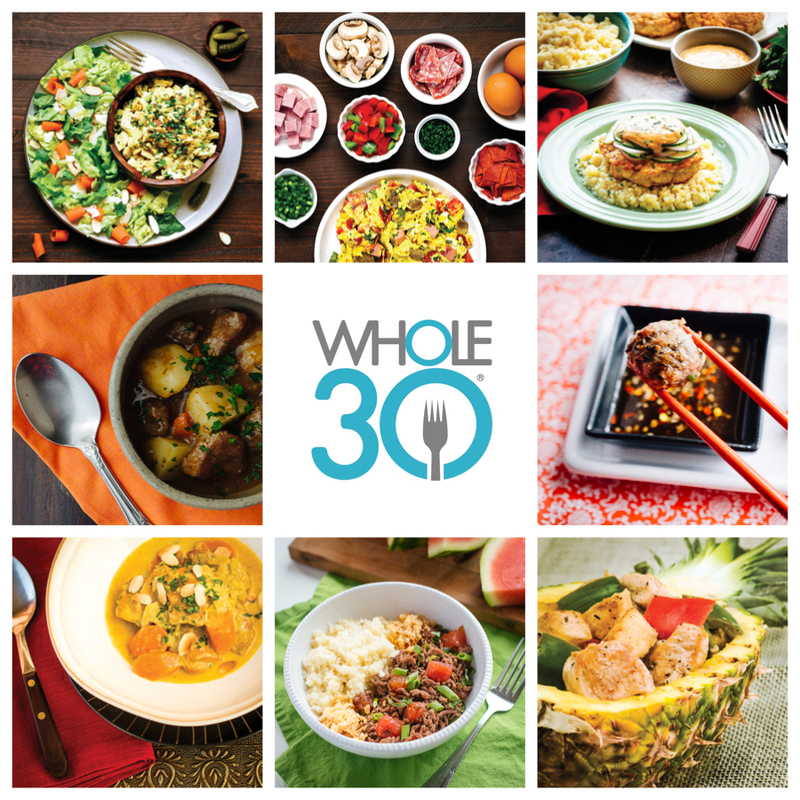 The Whole30 is an elimination diet based on paleo. It excludes paleo treats and all added sweeteners, all alcohol for 30 days, then the idea is at the end of the 30 days, you can try reintroducing foods to see how your body reacts. The primary difference between Whole30 and “just eating paleo” is there is NO treats/cheats at all for the 30 days and no paleo treats made with almond flour, etc. You can read the reasoning for all of that at the Whole30 site. It’s a great program, especially for people just starting on paleo or for people who have been eating paleo for a while and aren’t experiencing the results they want, e.g., energy level, disease management, etc. Melissa, I couldn’t have read this at a better time. I am starting my first whole 30 today with the rest of the whole9ers. Thank you times a million!! I have a feeling you are about to have a new biggest fan. 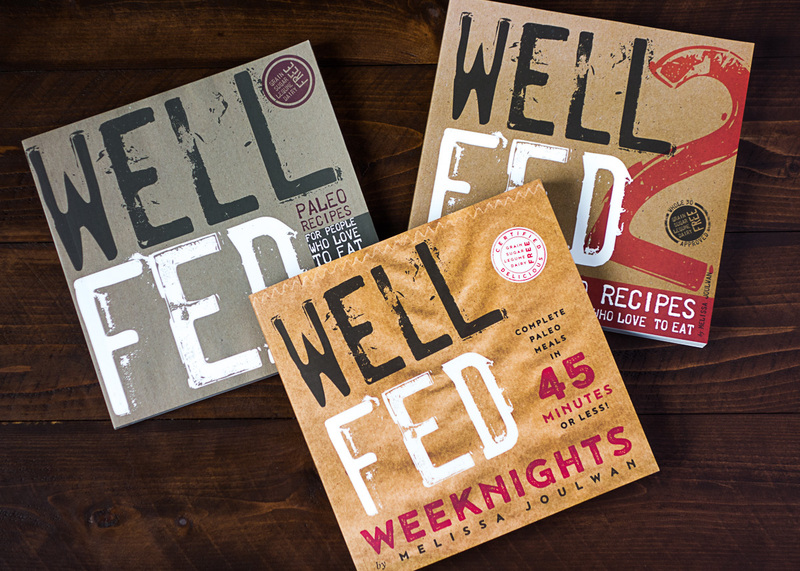 Can’t wait to explore your blog and pick up Well Fed! Have an excellent Whole30 — and keep me posted on how you’re doing! I hope you have an awesome month. RONI! I knew you could do it… Congratulations! I’m on Day 7 of my “hello, Vermont” Whole30, and I’m feeling really good. You must be feeling AMAZING! I love that you and my mom virtually met online; how fun! Keep me posted on how you’re doing from time to time! I’m not goin’ anywhere! :) I LOVE your blog and it’s good eatin’ over here, Whole 30 or not so I’m stickin around! I don’t wanna miss anything! lol:) I do feel amazing.. it’s wonderful. And I totally like your mom. I *love* your books. I have both and hands down they are my mainstays for healthy eating. Simple and delicious. Thanks so much! Congratulations on Whole30-ing! It’s awesome that you’re finding new energy to make it a priority. Good for you! Thank you for the kind words about our cookbooks; I’m so glad you like them! I started my first Whole30 on 1 August and I am amazed at how great I feel already, especially at the improvement in my sleep. 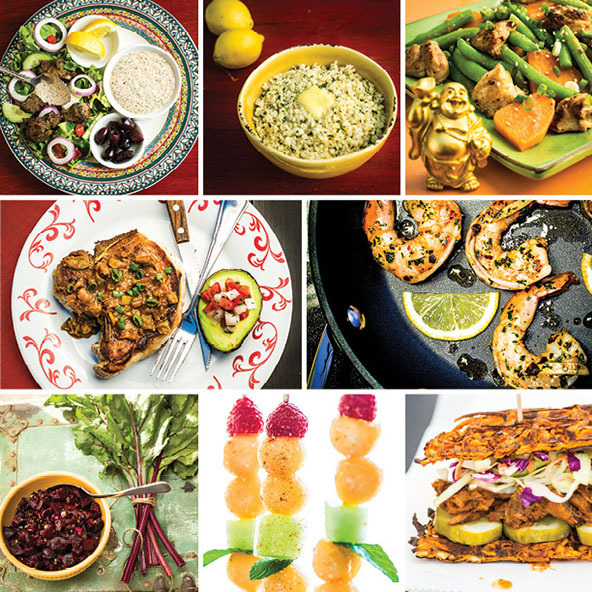 I am so grateful for your wonderful cookbooks – no adjustments required to make anything Whole30 compliant! Last night I made the Cinnamon Beef Stew (Well Fed pg. 65). First of all…Yum! I had to use chicken broth instead of beef, however, because I couldn’t find a beef broth without added sugar. Is there a brand you recommend, or am I supposed to be making my own, because honestly I’m just not there yet. Thanks for all this fantastic support. I haven’t found a commercial beef broth without sugar. I usually make my own or, when I’m not doing a Whole30, buy organic broth that uses cane sugar. Congratulations on Whole30-ing! I’m so glad you’re feeling awesome already. Have a wonderful month! Thank you! This is an amazing resource! I just bought well fed 2 – to help with a round of whole 30- I see there are some recipes that call for beef broth, do I have to make my own or are sone organic ones compliant ? If you can find commercial broth with no junkie ingredients, go for it! Otherwise, you need to make it from scratch. 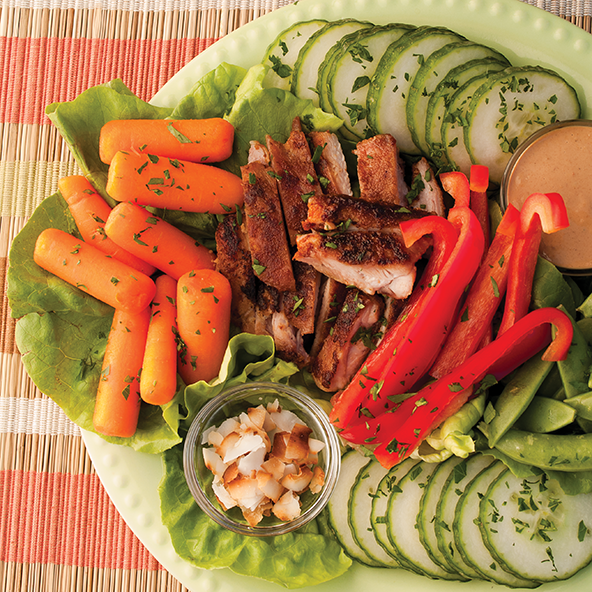 Melissa – I’m starting my first Whole 30 tomorrow, 9/1/14. I’m super excited and grateful for your blog as well as your cookbooks. You are a big part of why I believe I can do this – thank you for all the wonderful recipes and tips! Thank you so much for this! I am halfway through my second Whole30 and I created a Facebook group so a few of my friends and I could post recipes, ideas, and challenges. This is a great resource which I have now shared with them! I am not sure how many people are actually dong a Whole30 with me but I opened it up to them as a way to start them on their journey to be happier and healthier. I think this post will help them come closer to doing it! Thanks so much! This is such a useful article. I wish I had found this sooner to help me with my first round of Whole30!